It is well known that the common European adder or viper Vipera berus occasionally produces albinistic and melanistic individuals, due to the expression of certain mutant gene alleles. I was fortunate enough to see a bona fide black adder myself (and not of the Rowan Atkinson variety either!) when visiting Woody Bay, North Devon, back in 1993. 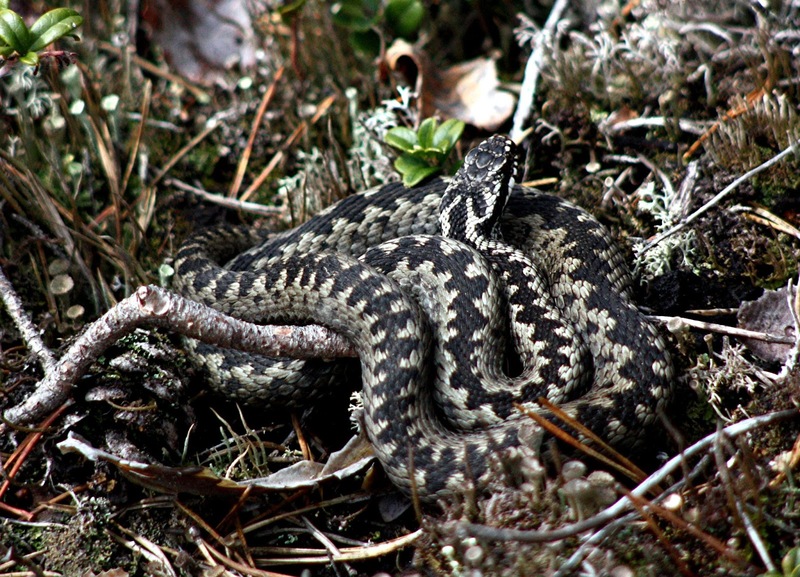 Of course, these are not separate species, merely genetically-induced morphs of the common adder. 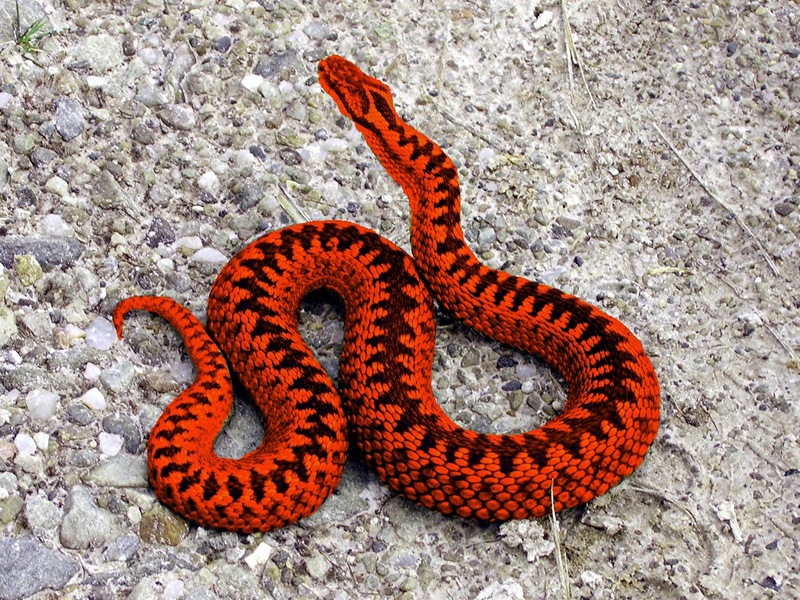 As recently as the mid-1800s, however, many natural history tomes were still soberly stating that Britain was also home to a much more remarkable, additional viperine form, one so distinct in fact that it was classed as a separate species in its own right – Vipera rubra, the scarlet viper. As its names suggest, this eyecatching serpent was bright red in colour, and was also said to be a little smaller than the normal adder. 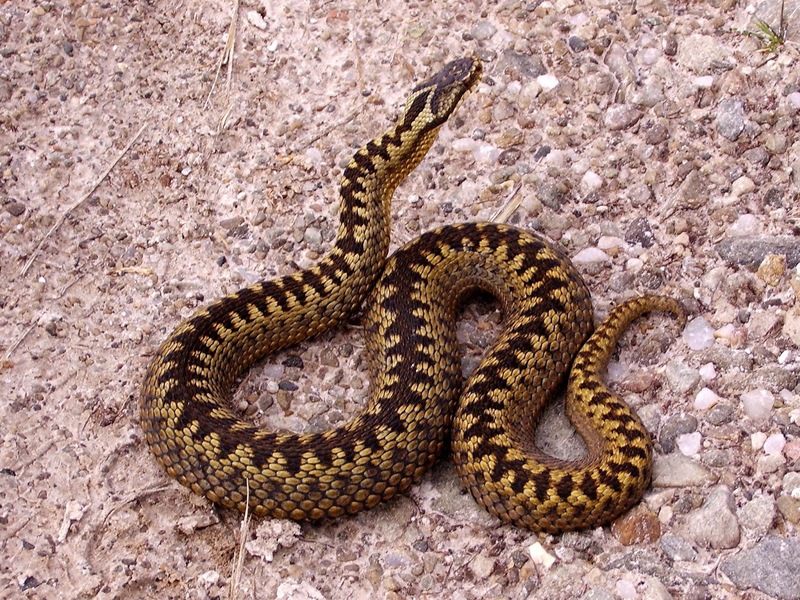 Yet it seemingly possessed a very limited geographical distribution, for according to a short Pet Reptiles article from 2001 by CFZ founder Jonathan Downes, it was only reported from certain parts of southern Dorset, particularly around Corfe Castle and Lulworth Cove. In those specific areas, however, the scarlet viper was apparently a familiar sight, which makes it all the more surprising that by the end of the 19th Century it had vanished not only from such localities but also from the natural history literature. Suddenly, it was as if the scarlet viper had never existed – expunged even from the records as well as disappearing from life. Why? It is not as if a scarlet viper would be such an unlikely, improbable herpetological entity. There is a genetically-inherited condition analogous to albinism and melanism that is known as erythrism, and individuals exhibiting it are abnormally red in colour. Erythristic iguanas, for instance, are bright orange-red instead of their normal green shade. 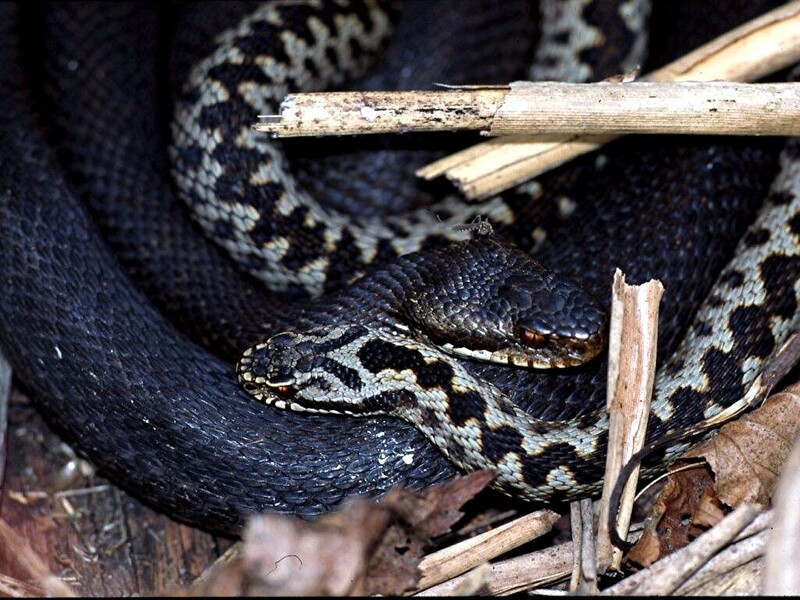 Consequently, an erythristic common adder would make a very plausible scarlet viper. And as such colour morphs are often of only localised distribution due to genetic drift, this would also explain the scarlet viper’s limited occurrence. Mystery solved? Very probably. Having said that: I cannot help but wonder whether any local museums or private collections of natural history specimens in southern Dorset unknowingly possess a preserved specimen or two of the scarlet viper. If any do, it would certainly be very interesting, not to mention extremely informative, to analyse DNA samples from them. After more than 150 years, we may then finally confirm categorically the precise zoological identity of this enigmatic British mystery snake.